The Secret to Prevent Billions in Return Fraud! The period between Thanksgiving and the end of the year is prime time for retail. But, once the presents are opened and the leftovers finished up, the holiday hangover sets in. We’re talking about returns, of course…but we’re also talking about return fraud. These are unfair return requests from otherwise legitimate customers trying to recover their money, even when they’re not entitled to a refund according to your merchant policies. And return fraud is more common—and costlier—than you probably realize. Return Fraud: A $50 Billion Problem? It’s true: returns are an unavoidable part of the annual sales cycle. The fact that it’s predictable doesn’t do much to soften the impact of returns on your bottom line, though. Returns cost retailers a staggering $351 billion in sales in 2017, or roughly 10% of total sales in the US. To add insult to injury, many of these are cases of return fraud. Overall fraud is a growing threat. In 2017, nearly one-quarter of online merchants lost more than 6% of their total revenue to fraud-related costs. While this included threats as diverse as unauthorized app purchase chargebacks and click fraud, return fraud represented a major share of the total…and that’s just the ones we know about. We know return fraud costs merchants at least $22.8 billion every year. However, that number doesn’t reflect the full scale of the problem, as it only includes cases of identified return fraud. Think about it: if return fraud depends on making returns under a false claim, it’s likely that just as many successful return fraud attacks simply go unnoticed! Why Do Customers Get Away with It? It’s difficult to identify: A customer can use any number of excuses to claim a return, and you have no way of verifying if they’re telling the truth. You don’t want to alienate customers: Your reputation is one of your most important—and sensitive—assets. Angering customers can lead to reputational damage. It could be worse: Buyers committed to getting their money back won’t take “no” for an answer. They might file a friendly fraud chargeback if they don’t get their way. That’s an understandable and very rational response. After all, no merchant wants to gain a reputation for being harsh on customers, any more than they want to encourage buyers to request chargebacks. Chasing-away legitimate customers leaves you with a crowd of fraudsters as your only buyers…and that’s not great company to be in. Return fraud has a lot in common with other difficult-to-address threat sources like friendly fraud or affiliate fraud. And, like all those other threats to your bottom line, the biggest misconception is that there’s nothing you can really do. The key is to separate the repeat offenders—the individuals who happily abuse your return policies—from your loyal customers. Your standard return policy may vary depending on the product category, location, currency, or other conditions. For example, international customers might not be able to meet those restrictions, so you may need to allow more time for orders outside the country. You should never issue returns to a different payment card from the one on which the purchase was made. That is an easy way to fall victim to a fraud attack. Clearly define the condition in which merchandise should be returned. Unopened, with tags attached, and invoice included…whatever is necessary to process the return. If certain items are subject to alternate policies, be sure to thoroughly explain this policy difference and make the information easy to see. For example, customized items are often nonreturnable; if that’s the case, you should get positive confirmation from the customer before completing the sale. Think no one really reads your policy disclosures? Think again. 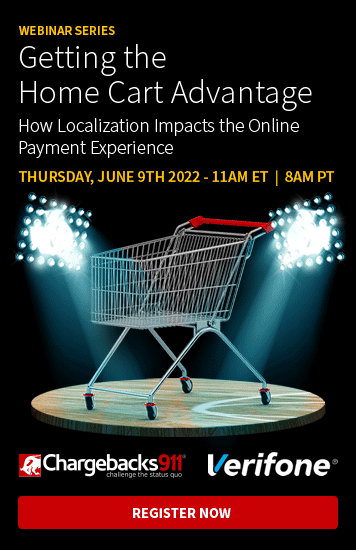 In reality, more than two-thirds of online shoppers will want to read your return policy before they decide to complete a purchase. However, it’s as if those rules don’t even exist if your customers either can’t find or are unable to understand your policies. Any requests / authorizations that must be submitted. Any product-specific information to include (serial numbers, SKU, etc.). Who will pay for return shipping. How that return shipping should be conducted. Once you develop a clear set of policies, the next step is to ensure that those rules are easily accessible. This means listing policies in a clear and concise manner on each individual sales page, accompanied by links to the full seller’s policy page. Without these steps, customers might feel as though they’ve been trapped by “fine print,” which could lead some to consider friendly fraud as an alternative. What happens when a customer just narrowly-misses the cutoff date for a return, or explains that they ordered the wrong item as a gift? Your return policy is meant to be a bedrock for your business to avoid return fraud…but that doesn’t mean you shouldn’t bend the rules from time-to-time in the interest of providing excellent customer service. Showing that you can be flexible with customers is a great way to build positive feelings toward your business, collect brand equity, and ensure long-term customer loyalty. This will pay-off in the long run by encouraging legitimate customers to keep coming back. 86% want retailers to provide return labels. 68% see free return shipping as an incentive to make a purchase..
67% read return policies before buying. 63% are unhappy with being forced to pay return shipping. 50% think merchants’ return processes should be simpler. Remember: one of the top reasons customers commit friendly fraud is convenience. If you make your return policy as customer-friendly as possible, you take away a primary incentive to commit friendly fraud, as well as retrain customer expectations to deter future fraud attempts. You don’t have to see returns as something to avoid at all costs. Instead, think of each return as a new opportunity to drive sales. If leveraged properly, each return is an opportunity to create new sales and build customer relationships. This is especially relevant in the weeks after the holidays, when consumers are making returns on gifts, but it remains true throughout the year. For example, consider offering customers the option to trade a return item for 10% more than its value in store credit. If the customer opts for the store credit, they will be likely to end up spending more than the credit’s value; this way, the customer goes away satisfied, while you enjoy even better sales figures. 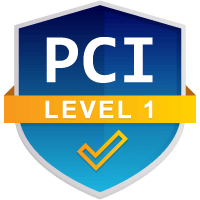 Still concerned about your ability to fight back and avoid return fraud? It may be time to call-in outside assistance. 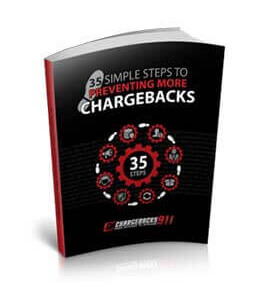 At Chargebacks911®, we provide multiple service levels to provide every merchant with the tools and expert guidance perfectly suited for their unique needs. On-demand or fully-outsourced…we’ve got the right solution to fit your needs. The holidays may be over, but Chargebacks911’s scalable chargeback prevention services are the gift that keeps giving. Ready for more information on how to insulate your business against return fraud, friendly fraud, and many other threats this holiday season? Click below to get started.